100% natural body oil. Nourishing, protective. Nourishing Oil with pure Sesame Oil, Horsetail extract and Green Clay gel, is a nourishing, stimulating nad protective oil ideal for massage. The forces of warmth from the Sesame Oil and the forces of light coming from the Horsetail and Clay, nourish the skin giving it softness and radiance. Ingredients: Sesamum Indicum Seed Oil, Alcohol , Equisetum Arvense Leaf Extract, Solum Fullonum, Tocopherol. 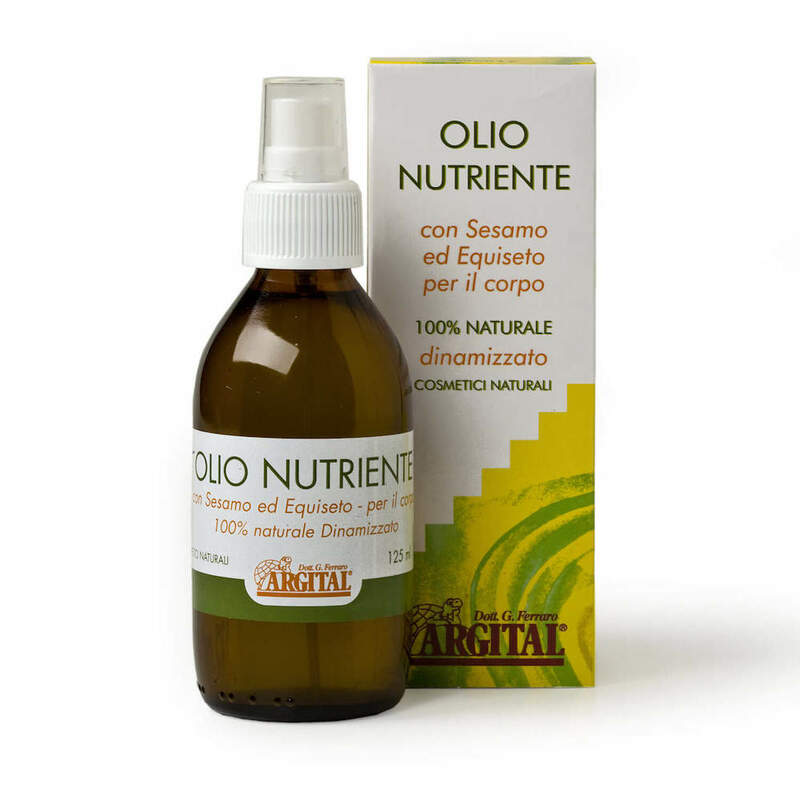 Organic ingredients: Alcohol, Equisetum Arvense Leaf Extract. DIRECTIONS FOR USE: Using the spray nozzle, apply a generous amount of Nourishing Oil onto the palm of the hand and massage into the body using using small circular movements in a clockwise direction until completely absorbed. For best results, it is recommended to use after a bath or shower, when the skin is warm and the pores are more dilated. 100% natural body oil. Refreshing, nourishing.